People accuse President Donald Trump of being intellectually incurious (to quote one of the nicer people he boatraced in the GOP Presidential Primaries). They claim he lacks the intelligence to understand the issues facing America. They claim he cannot process data like the suave and brilliant Bernie Sanders or the wise and sagacious Maxine Waters. The country would be better served under the guidance of the stable hand of Huey The Kingfish Biden. However, President Trump has set a few goals in his administration and acted in a logical fashion to get them accomplished. Take his goal of increasing manufacturing employment in America. 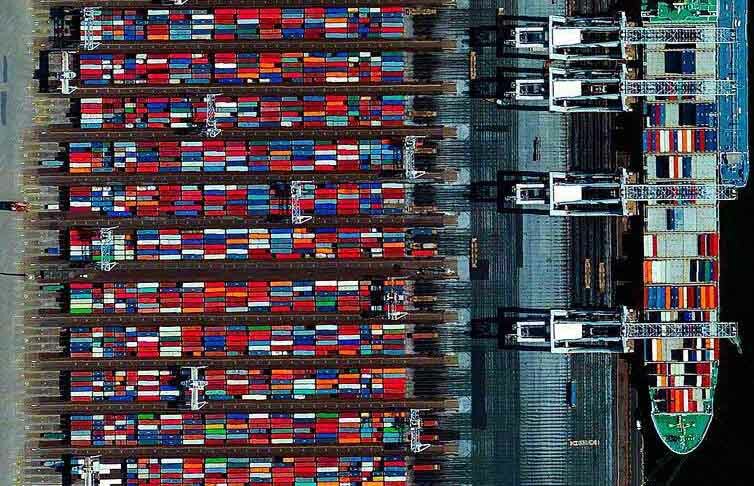 In pursuit of this desired goal; Donald Trump’s decision to slap targeted tariffs on certain American industrial products can be easily defended via the application of basic data analysis. 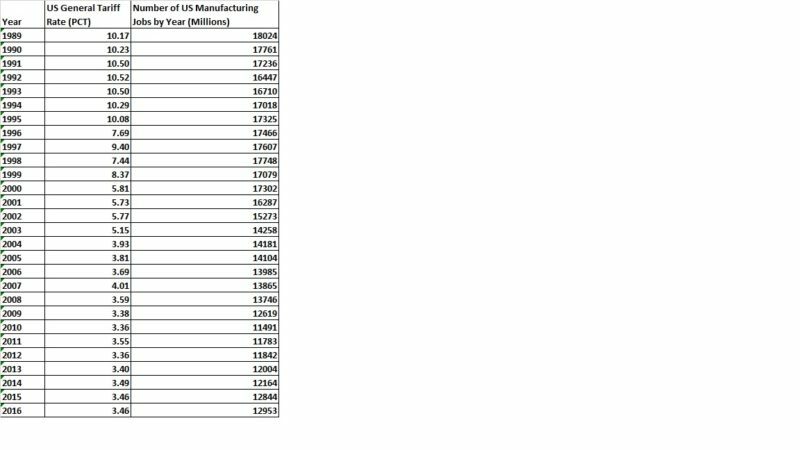 We begin with a table comparing the US General Tariff Level in Percent to the US Manufacturing Employment Census in Thousands. 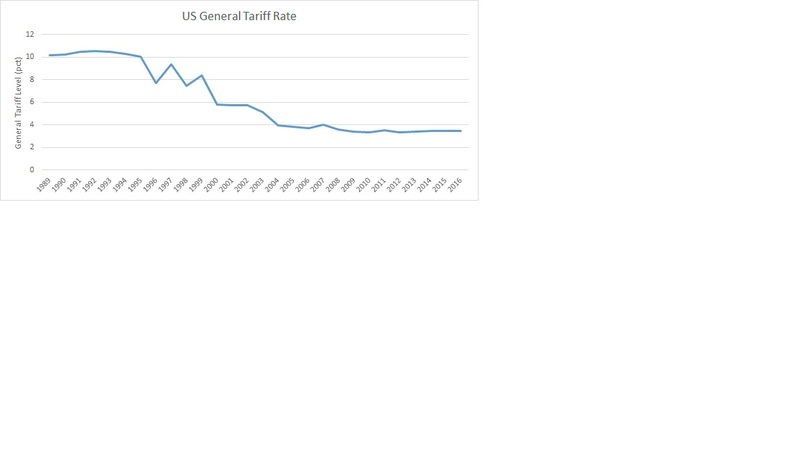 In general, US General Tariff Levels have been almost monotonic decreasing from 1992 (10.52%) to 2012 (3.36%). They were at 3.46% in 2016. In general, US Manufacturing Employment in Thousands of Workers has suffered a similarly steady decline from 18,024 in 1989 to a local minima of 11,491 in 2010. There are currently 12,953 Millions of manufacturing employees in the United States. This gives us a data set mapping the US General Tariff Rate in PCT from 1989 to 2016. 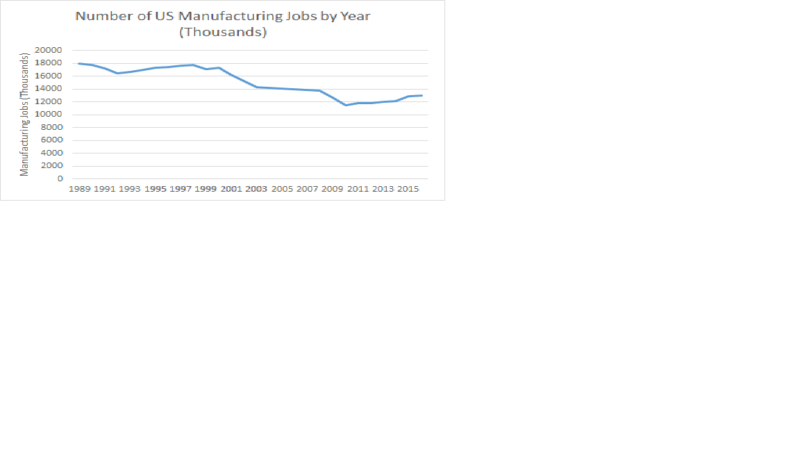 We have a 2nd data set mapping Manufacturing Workers in Thousands over the same years. 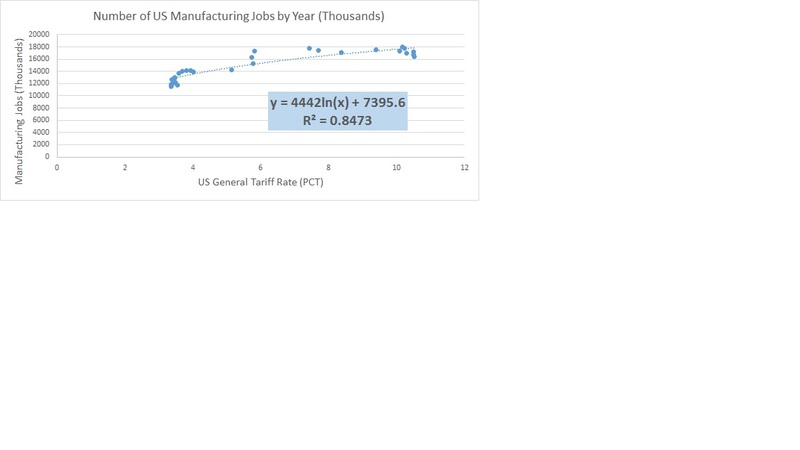 Using these two data sets, we construct a scatter chart mapping manufacturing employment to general tariff rates. Our chart demonstrates a positive correlation between the number of manufacturing workers and the natural log of the general tariff rate with a correlation coefficient 1989 to 2016. To deny the obvious implications of the official government data, curated by skillful and patriotic civil servants, would render the stone-throwing critic a big, orange, loud doofus. Do the math, Dr. Krugman. Otherwise we can only conclude that you are intellectually incurious.